Mount Pisgah, the highest peak in Delaware County… that’s been the foundation of Bobcat Ski Center for more than a quarter-century. When the area opened, the sport was pretty simple: slopes piled high with powder and the challenge of skier vs. mountain. Naturally, there was also a rustic, homey lodge where skiers could warm up, with family and friends. At Bobcat, things have changed little since those early days. 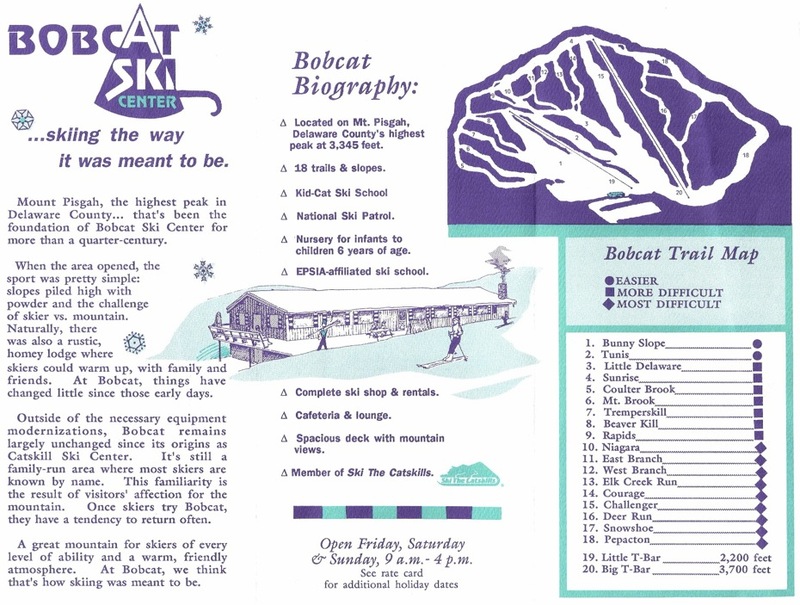 Outside of the necessary equipment modernizations, Bobcat remains largely unchanged since its origins as Catskill Ski Center. It’s still a family-run area where most skiers are known by name. This familiarity is the result of visitors’ affection for the mountain. 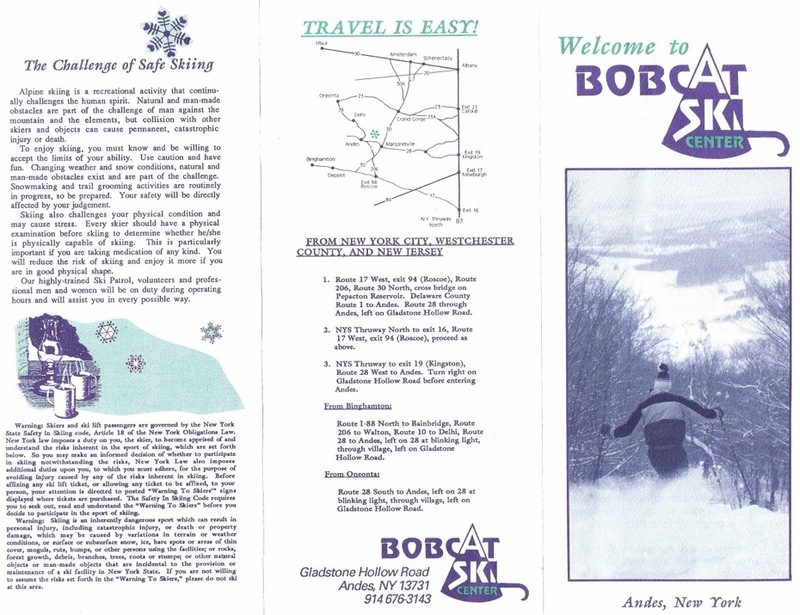 Once skiers try Bobcat, they have a tendency to return often. A great mountain for skiers of every level of ability and a warm, friendly atmosphere. At Bobcat, we think that’s how skiing was meant to be.